Friction stir processing (FSP) is a friction stir-based material processing method for enhancement of material microstructural and surface properties. As FSP is a multi-physics problem coupled with severe plastic deformation, material flow, heat flow, and microstructure evolution, modeling of the FSP process can be very complicated and challenging. Few research work has been reported on modeling and simulations of FSP for material modification. In this study, a computation-efficient process model is developed using ABAQUS/Explicit based on coupled Eulerian-Lagrangian (CEL) formulation to simulate FSP of aluminum alloy 5083. The three-dimensional (3D) finite element model simulates the entire process of FSP including tool plunging, dwelling, and stirring phases. Simulations are performed to evaluate the effects of tool-rotational speed and tool pin profile during the FSP process. 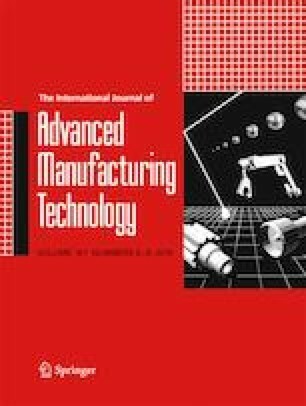 The computational efficiency of the developed model is also evaluated in comparison with other existing models for friction stir–welding processes. FSP experiment is performed with measurements of process force and temperature for model validation. This study shows that the CEL model can be a powerful numerical tool to simulate the complex process mechanics and optimize the FSP process parameters for industrial applications. The authors gratefully acknowledge the financial support provided for part of the study carried out at the University of Iowa by the National Science Foundation under Grant No. CMMI-1537512.